At Smooth B Entertainment we strive for excellence and take entertaining you very seriously! We specialize in all types of events and from the first phone call to the final handshake we try to make every function like it's the last. From weddings to corporate events, we have the experience and equipment to take on any type of function. We know what it takes to continue a good vibe and can cater to a wide selection of musical genres. 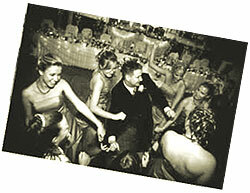 Our extensive knowledge of music along with your individualized input will make your affair a memorable one. We have a well respected staff that is always on time well groomed, friendly and very professional. We understand that the quality of entertainment determines the success of your event and our goal is to ensure everything goes according to plan. Smooth B Entertainment is a reputable entertainment company with over 12 years of outstanding service. Established since 1993, we have been offering 1st class entertainment service! Good Times & Great Memories"